Prominent & Leading Manufacturer from Faridabad, we offer aluminum foil pouches, stand up aluminum foil pouches and zipper aluminum foil pouch. 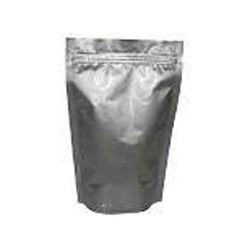 These Aluminum Foil Pouches are made using high quality Aluminum Foils to ensure their durability in its utility. They are customized in various dimensions as per the specifications of the clients. 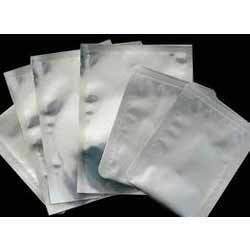 These pouches are used to pack the high moisture affected products. Food products packed in this pouches are widely applauded for their freshness, taste and aroma. They are used in various industries for packing various kinds of products. These Stand Up Aluminum Foil Pouches are mostly used for packaging items like pickles, sweets, dry fruits & various other products. They are widely appreciated for their features like high tear strength, moisture resistance, leak proof property and a host of other attributes. They can be tailor made as per the specifications of the clients. These pouches are manufactures using standard quality raw materials. We are manufacturing Zipper Aluminum Foil Pouch using high quality raw material and innovative machines. Our clients from different verticals can avail our products for its features for leak proof property, high tear strength and quality. We also fabricate according to needs and requirements of our clients with affordable prices.